Formed in Hounslow, Middlesex, in 1966, and originally known as Friday's Chyld, their first 45 was a fine slice of pop psychedelia complete with frantic chord changes and a catchy tune on the 'A' side, whilst the 'B' side was almost as good. Their second 45 lacked the sparkle of the first, however, and is consequently far less sought-after and expensive to obtain. Prior to recording their first 45, they cut some demo's in early '67 at R.G. Jones' Morden studio, and auditioned for Decca with demo versions of Father's Name Is Dad and Treacle Toffee World. Suitably smitten, Decca offered them a deal, and on the strength of the recordings, they were also signed by Apple Publishing. Their first 45 was released in March '68, many months after it had been recorded, and two versions exist - after Paul McCartney heard it on the radio, he arranged for the band to recut the 'A' side with backing vocals, and doubled guitar riffs an octave higher... It didn't make much difference however, although both versions have now been preserved on the Underground and Overhead album. Following this failure, the band recorded a number of demo tracks, many of which are again featured on the Underground... retrospective, before being forced into recording the second 45. Rather inexplicably, both sides of the 45 Round The Gum Tree were written by Mike Berry, head of Apple Publishing, after he had rejected all of The Fire's demos as 'unsuitable'. The band refused to play on the disc, and The Fire's contribution to the 45 is limited to Lambert's vocal on the 'A' side. 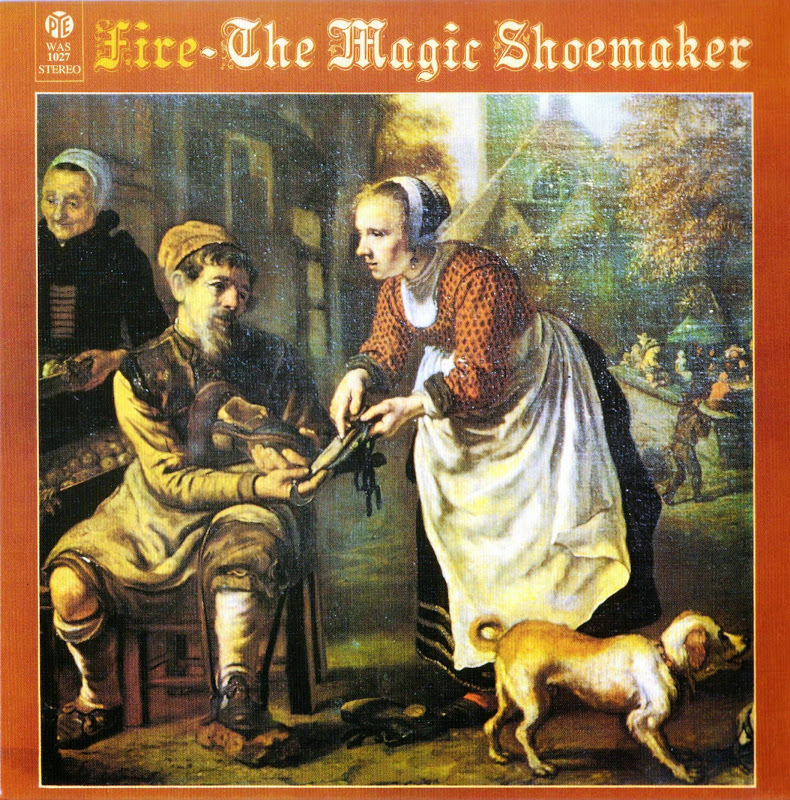 With their relationship with Decca and Apple Publishing damaged, the band set about demo'ing tracks for what would become The Magic Shoemaker a concept album that revolved around a cobbler and a pair of magic shoes. In January 1970 they started work on the album with the aid of Strawbs frontman Dave Cousins and Velvet Opera guitarist Paul Brett. It was composed and narrated by David Lambert who was very much the brains behind the group. The album's finer moments include the opening cut, Children Of Imagination; the R&B tinted I Can See The Sky, the experimental passage between Reason For Everything and Only A Dream. After the band's demise in 1970 Voice and Dufall joined Paul Brett's Sage and Dave Lambert later joined The Strawbs in 1972 and recorded a solo album, Framed, (Polydor) in 1979.